When you want foam insulation installed in your Lexington, KY, residence, you want the job done by experts who are experienced, trained, and licensed. You want 31-W Insulation because we have been helping homeowners like you with insulation needs since 1972. 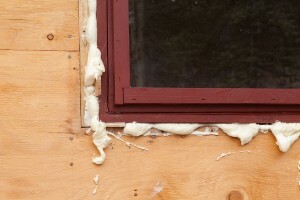 Spray insulation is a wonderful product with benefits like energy savings and cleaner air environments, but it must be applied properly and carefully to avoid potentially costly damage. How much to apply – We know the exact amount to use to avoid improper installation which can result in either buckled or warped walls and flooring, or under-performing insulation. How to mix the chemicals – We know the precise chemical mix to avoid errors that can be made by less experienced installers which can result in a fire-hazard. When to apply it – We know that there are times when foam insulation cannot be applied in your home, such as during extremely cold weather and we will only apply it when we can ensure that you will be completely satisfied. Additionally, when 31-W installs foam insulation in your Lexington home you will see numerous immediate and long term benefits, such as lower utility costs due to reduced energy consumption and a more comfortable home environment with more stable temperatures and reduced outside noise infiltration. Plus, you and your family may experience health benefits because this insulation fills in the tiny nooks and crannies that allow outside pollutants such as allergens or mold to come inside your home. You will also appreciate the fact that this insulation does not degrade and will last for the life of your home, and most homeowners who have spray insulation installed in their homes experience higher re-sale value. For more information about the benefits of installing foam insulation in your Lexington, Kentucky, home and why we are the experts to trust, contact 31-W Insulation today.